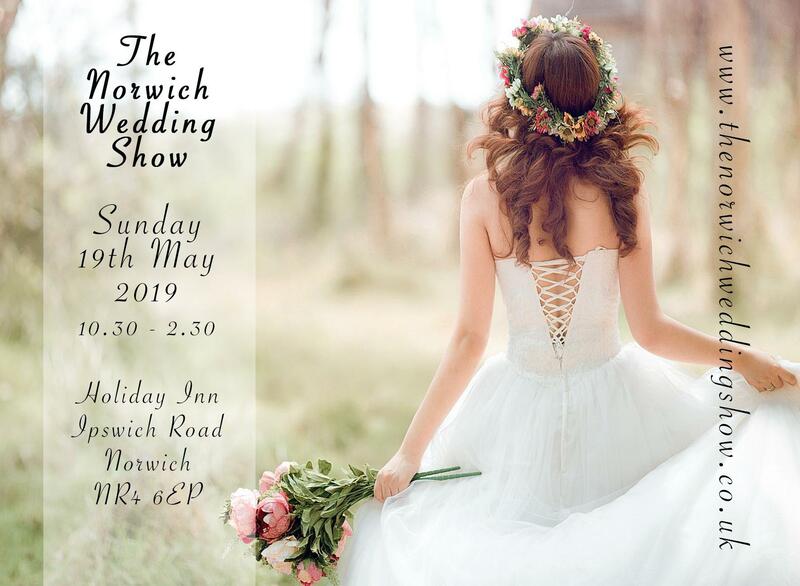 The Norwich Wedding Show is on Sunday 19th May 2019 from 10.30am – 14.30pm at the Holiday Inn Norwich. The Norwich Wedding Show is on Sunday 19th May 2019 from 10.30am – 14.30pm at the Holiday Inn Norwich. A friendly, welcoming wedding exhibition created for you to meet the best wedding suppliers and help you organise your wedding. Why should you attend The Norwich Wedding Show? The Norwich Wedding Show brings together a collection of the counties most professional companies who will be displaying the latest wedding services and products, there will be a total of 20 companies for this evening showcase offering advice on how to plan the wedding of your dreams, also on hand will be the wedding team from Holiday Inn who always have great offers on wedding packages starting from just £1,999, plus will be offering venue tours throughout the evening.